Art By Yukari: Only Art.. It has been months since I went a whole day not doing math. I needed to take a day off even though I have so much planning to do for my summer class of algebra 2 that starts next week. 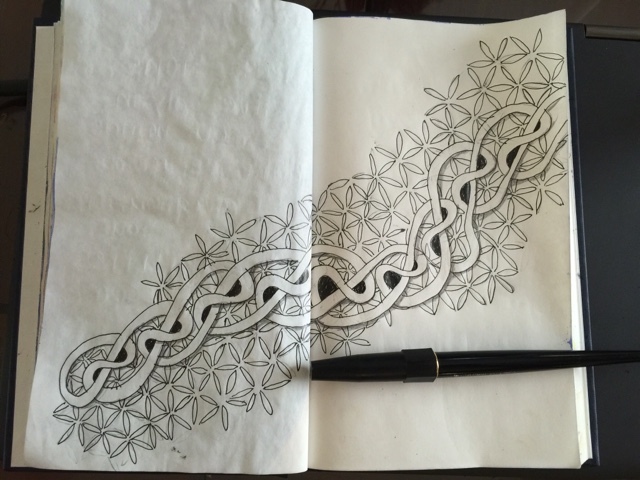 I learned a new zentangle pattern called "Skye". I think this pattern has lots of potential for variation with all the ribbon-y twists and turns. The pattern itself didn't take me long to do, but it was the pattern, Quandry underneath that took forever! Here is the drawing before color. 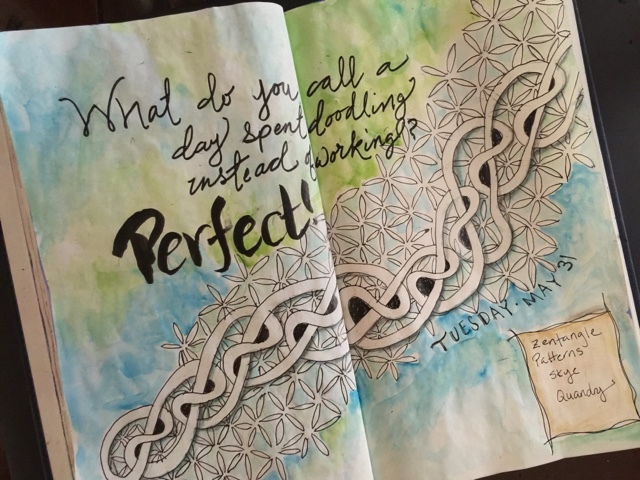 I don't know what made me add color (since most of my zentangle pieces are b/w). Like I mentioned yesterday, I'm out of practice, but it feels good to doodle again.